2018. By Judith Maddock Hudson. 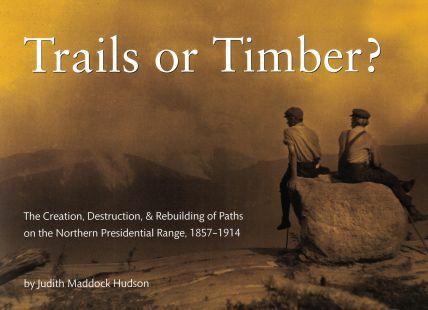 Newly published by the Randolph Mountain Club, this slim, but attractive volume chronicles in words and photos the destruction and and subsequent restoration of the forests on the northern slopes of New Hampshire's famed Presidential Range. The book features more than 80 fascinating vintage images from the RMC archives, many of which have never appeared previously in print. Softcover. 40 pp.